NUTROTM Limited Ingredient Diet Adult Salmon & Lentils Recipe Dog Food is made using 10 key ingredients or less plus natural flavours, vitamins minerals and other nutrients. These recipes avoid ingredients that commonly cause food sensitivities in pets, like chicken, beef, corn, wheat, soy and dairy protein. Prepared with high-quality Salmon and lentils, this grain-free dog food not only tastes great, but it also nourishes sensitive skin with a soft, shiny coat guaranteed or your money back. 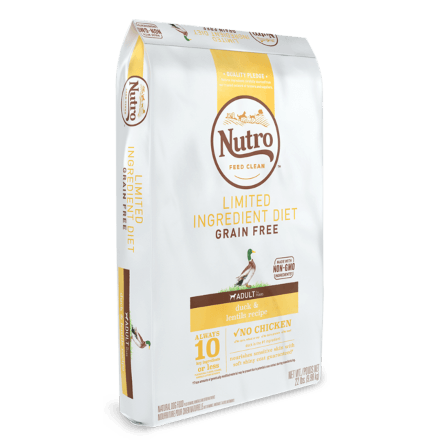 NUTRO™ Limited Ingredient Diet Food for Dogs also follows the NUTRO FEED CLEAN™ philosophy, is always made with Non-GMO* Ingredients and is made with no artificial flavours, colours or preservatives. Salmon, Salmon Meal, Dried Potatoes, Lentils, Chickpeas, Dried Sweet Potato, Canola Oil (Preserved With Mixed Tocopherols), Potato Starch, Sunflower Oil (Preserved With Mixed Tocopherols), Natural Flavour, Dried Plain Beet Pulp, Potato Protein, Choline Chloride, DL-Methionine, Potassium Chloride, Salt, Mixed Tocopherols And Citric Acid (preservatives), Zinc Sulfate, Niacin Supplement, Biotin, Vitamin E Supplement, Iron Amino Acid Chelate, D-Calcium Pantothenate, Selenium Yeast, Riboflavin Supplement (Vitamin B2), Copper Amino Acid Chelate, Vitamin B12 Supplement, Pyridoxine Hydrochloride (Vitamin B6), Manganese Amino Acid Chelate, Vitamin A Supplement, Thiamine Mononitrate (Vitamin B1), Vitamin D3 Supplement, Folic Acid, Rosemary Extract. These are the recommended feeding amounts based on the ideal body condition for adult dogs of various weights. Individual dogs' energy requirements may differ. 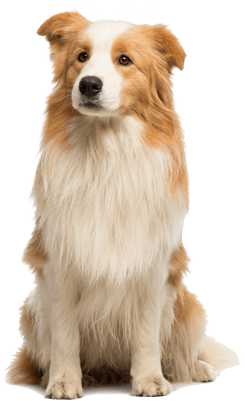 Adjust the amount fed to obtain or maintain your dog's optimum weight. Keep fresh drinking water available at all times, provide plenty of exercise and see your veterinarian regularly. Serve dry or lightly moistened. To help maintain freshness, we recommend sealing the bag tightly and storing it in a cool, dry location. ‡ Use a standard 8-oz. measuring cup, which holds 4.06 oz. of NUTROTM Limited Ingredient Diet Adult Salmon & Lentils Recipe Dog Food. Metabolizable energy 3702 kcal/kg, 426 kcal/cup (calculated). 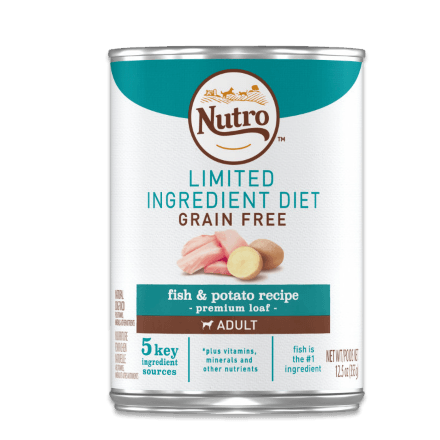 NUTROTM Limited Ingredient Diet Adult Salmon & Lentils Recipe Dog Food is formulated to meet the nutritional levels established by the AAFCO Dog Food Nutrient Profiles for adult maintenance. Overweight: Decrease feeding by one activity level to achieve an ideal weight.